Flown out for urgent medical treatment, when she recovers she returns home and overhears her parents discussing her past and the choices that they've made. Their secrets, slowly revealed, will shatter more than one family and, for Louise, nothing will ever be the same again. 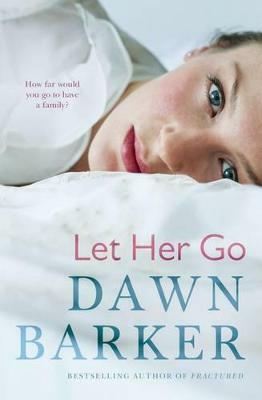 LET HER GO is a gripping, emotionally charged story of family, secrets and the complications of love. Part thriller, part mystery, it will stay with you long after you close the pages wondering ... What would you have done?